Read the latest message from our pastor. The messages serve as a wonderful preparation for the week ahead. There are words and situations in our lives that are hard to take because they are difficult to understand or because they are painful, or both. This is precisely what some of the disciples of Jesus were going through after Jesus had revealed to them that He is the true bread and that they needed to eat his flesh to gain eternal life. As a consequence, many of Jesus' disciples went back to their former way of life and they did not follow Jesus anymore. Most of us, at some point or another have to face teachings and doctrines that are hard to take and difficult to understand. They can only be embraced in faith, trusting that the Lord does not only want for us what is good but what is best. Also, there are painful situations in the Church that discourage us. There are painful moments when we face our own personal sins or the sins of others and like some of the disciples, we also want to leave. This is precisely the pain that many Catholics are experiencing due to the new findings related to the scandals of some leaders of the Church. I ask your forgiveness for the pain that has been caused. I Pray for healing. Watch carefully how you live, not as a foolish person but as wise, making the most of the opportunity, because the days are evil. In this Sunday's readings we are admonished by the author of the book of Proverbs and by Saint Paul in his letter to the Ephesians to forsake foolishness. But what is foolishness? The Oxford dictionary defines it as a lack of good sense or judgement. Foolishness, in a sense, impedes us from being able to make the correct decisions in life. Saint Paul complements this definition by expanding it. Therefore, do not continue in ignorance, but try to understand the will of the Lord. Saint Paul warns us against one of the greatest forces which block our spiritual growth and development. Ignorance, at all levels, separates us from knowing and understanding the will of the Lord. reluctance we find in some people who are not willing to grow in their understanding of the Church. When it comes to our professional life, we put ourselves in a process of ongoing formation. We know that if we are not aware and knowledgeable of the latest advancements in our field we are putting ourselves in a position of obsoleteness. Sadly, when it comes to our life of faith, some pretend to live their Christian lives with a First Communion level of formation. They have not come to understand that the Church of Jesus Christ is a living and dynamic reality lead by the Holy Spirit. Throughout the two-thousand years of Church life, we as a community lead by appointed leaders and inspired by the Holy Spirit, have arrived at a deeper understanding of God's mystery and will. As the world changes, we, as a Church led by the Holy Spirit, also have to learn to change so we can respond to the challenges presented to us by the world with the treasures of faith and revelation entrusted to us. Our faith in Jesus Christ puts us in a process of ongoing formation. Faith formation is not a luxury or a pious endeavor. It is a demand of our commitment to Jesus which we dare not postpone. Christian life is an ongoing battle against foolishness, the foolishness of the world which tries to swallow us by convincing us that the vision of life is obsolete. If we are to follow Christ, we need to listen to the invitation of Wisdom and sit at her table. Elijah was on his way to the mountain of God, Horeb. He had to go through the desert. It was a long journey. At one point he was tired and discouraged. He prayed to the Lord saying "This is enough, O Lord! Take my life, for I am no better than my fathers" (1 Kings 19:4b). In the midst of his struggle, an angel of the Lord appeared to Elijah providing food and water for him so he could gain his strength. Elijah fell asleep under a tree. The angel insisted to Elijah: "Get up and eat, else the journey will be too long for you!" (1 Kings 19:7). This is one of several accounts in the scriptures in which God himself provided food to his people. Elijah was able to recognize the divine origin of the food given to him. Elijah obeyed the angel, gained his strength, and continued on his journey. In a similar way in the Gospel Jesus identifies himself as the true bread that has come down from heaven. Nevertheless, some of the people were not able to recognize the divine origin of this bread and they were murmuring. In response, Jesus ordered them to stop murmuring among themselves. He insisted to them to believe in Him! Jesus is the true bread that leads us to the Father. The journey of life can be long and overwhelming. Sometimes, our prayer is that of Elijah and we cry out to the Lord “Enough is enough!” The Lord will hear our prayer and provide for us bread from heaven, a divine food that will help us to gain our strength and to continue our journey. In times when our prayer is “Enough is enough!” it is important to also stop for a moment to listen to the Lord and allow him to feed us with heavenly bread. In other words, in prayer, we need to ask ourselves what is the divine help we are receiving from the Lord himself. This divine help comes to us usually through the efforts of the community of faith. It is the mission of the Church to continue providing the bread that comes down from heaven through the works of mercy and the sacraments. We have two options: to continue murmuring against the one who provides or to recognize what he is giving us and be grateful because we can taste and see the goodness of the Lord. If humans have faith in God, he will deliver security and prosperity. religious causes will increase one's material wealth. Prosperity theology views the Bible as a contract between God and humans: if humans have faith in God, he will deliver security and prosperity. approach. Moreover, Jesus specifies what they should be looking for. Do not work for food that perishes but for the food that endures for eternal life, which the Son of Man will give you. welfare. Our attention is to be centered in the one who came down from heaven and gives life to the world. It is not that God does not care and provide for us, but our belief in Jesus and his message is not a contract to provide security and welfare. Let us not forget a very fundamental element of our faith: the reality of the cross and our imitation of Jesus in that reality. The gospel of the cross is a rejection of the gospel of wealth and prosperity. foreshadowing of our share in the heavenly kingdom. We are to work for the food that endures for eternal life. Scarcity of food can give rise to great social conflicts. This is because the lack of food can create a lot of uncertainty in anyone's life. Sometimes, scarcity of food is the result of the lack of resources due to natural causes such as the lack of rain. In other cases, the lack of food is a last minute situation in a given circumstance like that of the Gospel today where there were a lot of people but not enough food to feed them. Also, the lack of food can be the result of political and economic policies created by certain groups who are interested in manipulating the use and distribution of goods in the market. These are groups of people who keep accumulating wealth and trying to control the power of the nations. This need to control comes from the desire to accumulate even more and sometimes from the fear that there is not enough for everyone. In today's Gospel, we can see that Phillip was afraid there would not be enough food to feed the big crowd. Andrew was also afraid that whatever they had-five pieces of bread and two fish- would not be enough. Those were two valid and real fears. Nevertheless, given the situation, Jesus invites his disciples to trust him and to be generous. This was the real test for his disciples as it still is for us. By multiplying the bread and the fish, the little they had, Jesus invites them to fully rely on him. Jesus is the one who makes abundant the little we have. In the present time, many countries, like Venezuela, Nicaragua, and others, are experiencing scarcity not only of food but also of dignity and justice. As Christians, like Jesus' disciples, we are called by him to trust that whatever little we have we must share it with those who are hungry. Jesus will make it abundant and satisfying. Only Jesus Christ, the Lord, can offer what no other person or institution can: safety in the midst of uncertainty, calm in the midst of storms, peace in the midst of war, and true freedom in the midst of confinement. We have bore witness to this shepherd's generosity in the last couple of weeks here at Holy Rosary. Several priests from the Archdiocese and from the Dominican Order have been assisting with confessions, the celebration of the Holy Mass, and other pastoral needs. From the Archdiocese- Msgr. James Anderson, Fr. T.J. Dolce, Fr. Luke Millette, Fr. Richard Wahl, Fr. Mitchell Dowalgo, And Fr. Matthew Suniga,. From the Order of Preachers- Fr. Charlie Johnson, Fr. Marty Iott, Fr. Hung Tran, Fr. Juan Torres, Fr. Armando Ibanez, and Fr. Long Tran. For this coming week, Fr. Art Kirwin will also come from Atlanta to help us with our ministires. It is very edifying to see all these priests taking time apart from their regualr schedules and ministries to assist us with the liturgical and pastoral care of the parish. I ask the parishioners to join me in keeping these shepherds in our prayers in gratitude to their faithfulness to their call and for their service to the Church. 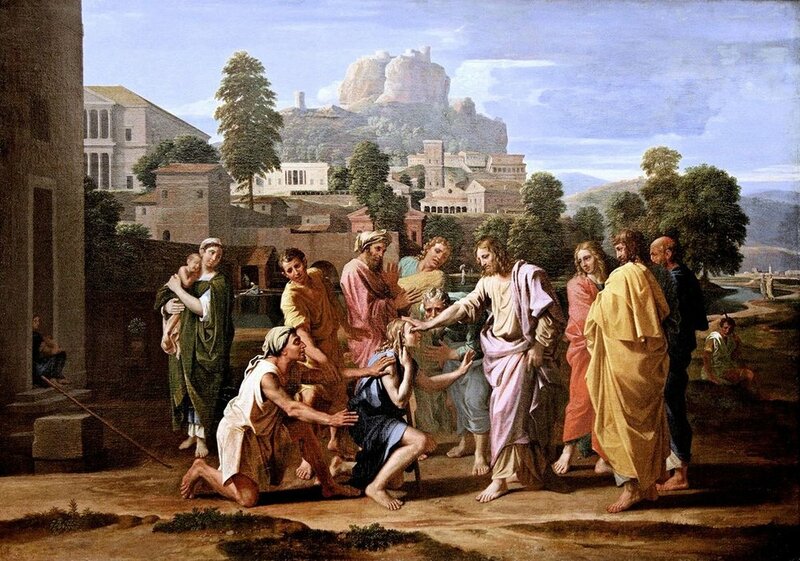 In today's Gospel we heard the words, The Twelve drove out many demons, and they anointed many who were sick and cured them. In light of these words, perhaps today is a good day to reflect on the power and the grace associated with the Anointing of the Sick. Unfortunately, far too many people have a rather old and tired view of this Sacrament - the last rites. They still look upon its use as that final moment to call the priest before Grandma takes her last breath. Taking this approach has several problems. First, waiting until the last moment may not give you a realistic opportunity to contact a priest in time, so that he may come and comfort the person who is gravely ill, as well as the person's family. Second, too many missed opportunities occur when someone shies away from celebrating this Sacrament of Healing because they do not want to bother Father, who is busy after all, and besides, if it does not take, they think it means they may have to check out of this life early. Finally, it is not something magical, where we get oiled up and all of the dreaded diseases in our body will be gone. God's grace is real. 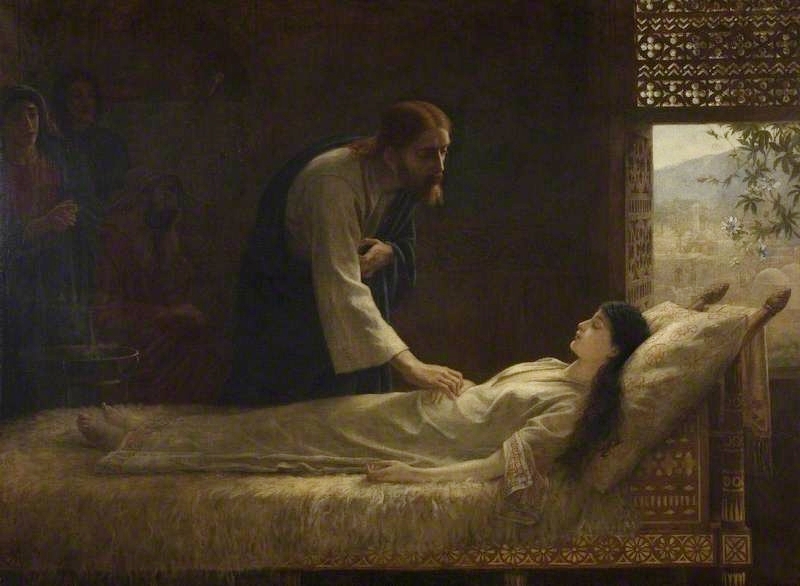 The Anointing of the Sick is real. May we help those in need of God's healing grace seek out the power found in this often overlooked and misunderstood sacrament within our Church. In it is Jesus himself reaching out to us in our moments of physical weakness, and who does not need the power of God next to him or herself in those moments of pain or anguish. "A prophet is not without honor except in his native place and among his own kin and in his own house." Rejection is one of the most common human fears. Deep down, our honor is hurt when someone rejects us. Sometimes we are rejected because of our race, color, nationality, religious beliefs, the work we do; or just for being a woman or a man. It does not matter what the motives are for being rejected, our identity is in question and the thought that maybe something is wrong with us invades our minds and our hearts. Jesus himself was rejected by his own people because of his office as a prophet. He was not honored by the people in his native place. Usually, in the Middle East of Jesus' time, the honor of a person was given by the family of origin. His listeners questioned Jesus' wisdom and actions because they knew he was a carpenter and the son of Mary. They were not sure who Jesus' father was and they could not believe that a carpenter would have such wisdom. They were offended by what seemed to put Jesus in a very low place and still be a prophet. Jesus was not good enough in their eyes! As a consequence, their faith in Jesus was either weak or null. Rejection did not become an obstacle for Jesus to continue his mission. It became an obstacle for those who rejected him. They were not able to witness more miracles and to enjoy the graces that Jesus came to offer. Therefore, Jesus was amazed at their lack of faith. As Americans and as Catholics, it is very important to have a clear sense of honor in our lives. For Jesus, it is very clear that honor does not come from family of origin, profession, or social status. For a Christian, honor is rooted in Jesus himself, who is God. It is the honor of having a Creator that cares for each human person to the point of giving his own life for us. It is the honor of been created in the image and likeness of God. God did not make death, nor does he rejoice in the destruction of the living. It is not unusual to find people holding God responsible for all kinds of disgraces: failures, rejections, sickness, even death. Why do people blame God for all of these afflictions? Behind these assertions we can easily discover a corrupted image of God. An image of God made after our own. We create in our minds a God after our own weaknesses, evils, and limitations. We create the image of a God who is vengeful, a God who is like a policeman always trying to catch us in our failings so that he can punish us with all kinds of afflictions. However, that is not the image of the real God nor the image of God that Jesus taught us to believe in and love. God did not create us to fail and suffer. For God formed man to be imperishable; the image of his own nature he made him. We were created in the image of God, not the other way around. God, who is the source of all goodness created us to reflect that goodness into the world. But by the envy of the devil, death entered the world. All the pain and sorrow which surround us are the consequence of sin in our world. Sin corrupted God's creation and brought sorrow, pain, and death into the world. We were like animals entrapped into an endless circle of tragedy and death. When humanity thought there was no way out of its tragic situation, God sent his only begotten Son to bring healing into the world. And not only temporary healing, but an enduring healing that would conquer even our worst enemy-death. By the merits of his passion, death, and resurrection, Jesus destroyed the power of death and gained for us the possibility of eternal life. The plan God foresaw at the moment of creation was restored by the loving and obedient actions of the eternal Son. It is in Jesus where we rediscover God's eternal intention for us: God formed us to be imperishable. In Jesus we were granted again the right to eternal life. 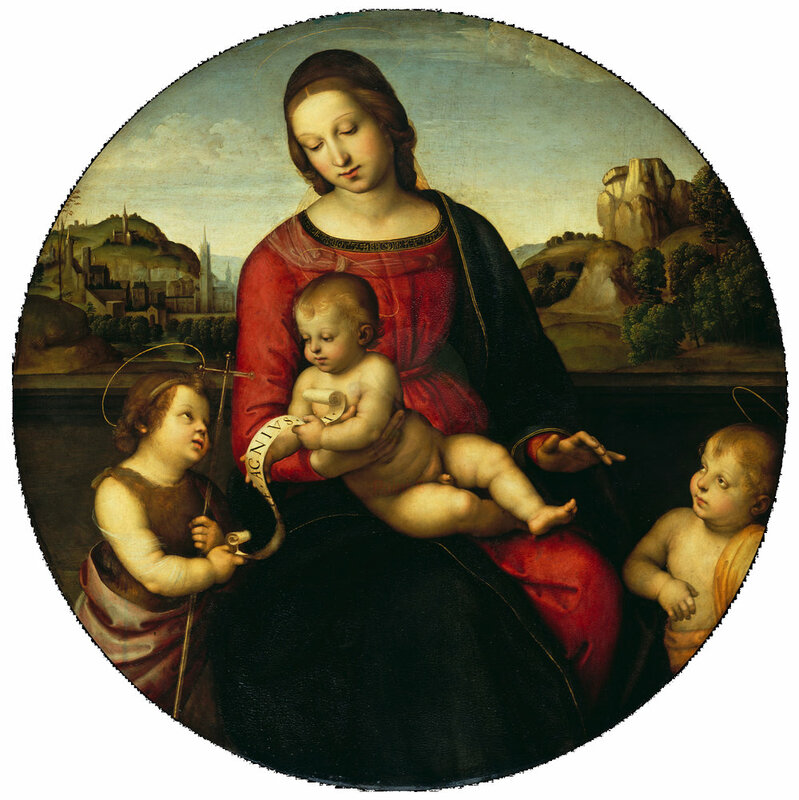 All who heard these things took them to heart, saying, "What, then, will this child be?" A prelude is an action or event that serves as an introduction to some­thing more important. In music, a prelude is an introductory piece of music. Today we celebrate the Solemnity of the Nativity of Saint John the Baptist. The celebration of this Solemnity is the prelude to Christmas. Today's readings and the liturgy in general serves as an introduction to what we will celebrate six months from now: The Nativity of our Lord Jesus Christ. In this prelude, we hear the prophet Isaiah proclaiming a description of the Servant of the Lord who was chosen and formed in the womb of the Mother by God himself. Isaiah describes also the mission of the Servant: "I will make you a light to the nations, that my salvation may reach to the ends of the earth" (Isaiah 41:6). This is precisely how John the Baptist served the mission of God. Saint Paul reminds us "John heralded his coming by proclaiming a baptism of repentance to all the people of Israel; and as John was completing his course, he would say, 'What do you suppose that 1 am? Lam not he. Behold, one is coming after me; I am not worthy to unfasten the sandals of his feet"' (Acts 13:24-25). John the Baptist knew that his mission was a prelude to Jesus'. In our journey of faith, we can see that there are people and circumstances that serve a greater purpose. It is important for us to be able to see if who we are and where we are might be the prelude to the greater work of God: Salvation. As John the Baptist, this awareness will help us to fulfill our mission to the extent that we are called, and to serve the Lord with the joy of having the honor to be part of it. in the body we are away from the Lord, for we walk by faith, not by sight. We are all aware of the incident between Jesus and the apostle Thomas. Thomas was not present when Jesus appeared for the first time to the disciples, and when told about it he manifested his doubts about all of it. He said, "Unless I see the holes that the nails made in his hands and can put my finger into the holes they made, and unless I can put my hand into his side, I refuse to believe." Thomas wanted to see and touch in order to believe. He had what we would call today a scientific mind. He needed proof that he could experience in order to accept and believe. We all share some of Thomas' skepticism. We want to see, we want to touch in order to believe. The values of our secular society have slowly seeped into the mindset of many Catholics. The fear of risking in believing paralyzes many. Some search for proof that cannot be found; and spend their lives sunken in chronic skepticism. Others, sadly, take a fundamentalist approach to the faith, and move into a universe of black and white, where there is no possibility for gray. Their faith becomes rigid and intolerant and they feel secure in their literalism. They live in fear of others and change. They isolate themselves. They develop a sect-like mentality. In today's second reading, the apostle Paul dares us to be courageous. To rely on a faith that empowers us to walk through the darkness of life. We might not have the consoling and comforting presence of Jesus among us as the apostles did, but we have his words and his promises. And more importantly, we have one another to help and support us in our pilgrimage of faith. We are dared to walk by faith, not by sight. We are challenged to keep moving in our faith journey even when all seems dark and impossible. We are not to stay frozen in a place of safety, but we are to continue our pilgrimage supported by our sojourners. We might not see clearly and may have doubts, but we trust the promises of the Lord. We are to keep advancing in our pilgrimage of faith, knowing that at the end of our lives the Lord who is a just judge will see that each may receive recompense, according to what he did in the body, whether good or evil. And if a house is divided against itself, that house will not be able ta stand. The cited verses are part of the response Jesus speaks to his relatives and the Scribes who were not at ease with Jesus' way of being and doing things. For his relatives misperceived Jesus not only with a misperception of His identity but also as an offense to the Holy Spirit and a threat to the mission and the unity of the community of believers. First, failing to embrace the real identity of Jesus can lead us to offend the Holy Spirit. The Holy Spirit is the one who dwells fully and completely in Jesus and not any other Spirit. This is precisely why Jesus declares that those who sin against the Holy Spirit will not be forgiven (Mark 3:29). Second, this failing, to see who Jesus is, is also a threat to the mission because its foundation, who is God himself, is either taken away or associated with someone else (Mark 3:23). Finally, this lack of understanding about the identity of Jesus is a threat to the unity of the community (Mark 3:24-25). If the followers of Jesus are not sure about who he is, they will live in a state of confusion and their faith will not be strong enough to meet the challenges to faith and life. As a consequence, division among the members of the community takes place. If the community allows this division to continue, then the community will be destroyed. At this moment in history, we are living in an environment of division in the world and in the Church. It is crucial for us believers to be able to see those divisions as an opportunity for unity. This opportunity is only possible if all of us center our faith in Jesus and reflect deeply on who Jesus is through prayer, study, and meditation. At this moment we are called to become instruments of communion so that the Kingdom of God may flourish in our midst. Then he took a cup, gave thanks, and gave it to them, and they all drank from it. He said to them, "This is my blood of the covenant, which will be shed for many." Today we are celebrating the Solemnity of the Body and Blood of the Lord. All the readings of the Mass present to us a fairly unknown concept: that of the covenant. The Oxford Dictionary defines covenant as a formal agreement, contract, or promise. The theological meaning of covenant is an agreement which brings about a relationship of commitment between God and his people. If we take into account this definition, today's readings offer us newer insights into the meanings of the Eucharist and their implications toward our daily life and our relationships with God and with one another. In the reading from the Book of Exodus, we find Moses sprinkling the people with the blood of sacrificed animals and saying: "This is the blood of the covenant that the Lord has made with you in accordance with all these words of his." The covenant between God and the people of Israel is sealed by the blood sprinkled on them; by this covenant they become God's people. The second reading, taken from the Letter to the Hebrews, reveals to us the difference between the blood of the old covenant and the blood of the new covenant. For if the blood of goats and the sprinkling of a heifer's ashes can sanctify those who are defiled so that their flesh is cleansed, how much more will the blood of Christ, who through the eternal Spirit offered himself unblemished to God, cleanse our consciences from dead works to worship the living God. The blood of Jesus on the cross becomes not only a sign of the second covenant but also an instrument of salvation. It brings us into a new level of relationship with God. But it is at the Last Supper that Jesus reveals the identification of the wine in the cup with the blood of the new covenant. Then he took a cup, gave thanks, and gave it to them, and they all drank from it. He said to them, "This is my blood of the covenant, which will be shed for many. Jesus sees his blood shed at the cross as the symbol of the new relationship between God and humankind because of his saving death. 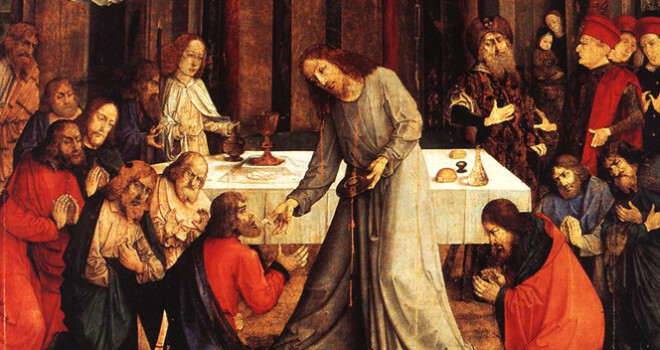 The partaking of the blood set a new level of relationship between God and us. The old covenant made people of God out of the people of Israel. The new covenant, sealed by the blood of Jesus-the slain Lamb of God, opens a new level of relationship with God. It does not only make out of us God's beloved children, but we become coheirs to the gifts belonging to the Son. A new level of participation in the divine life is opened for us. When we share in the body and blood of Christ in the Eucharist, we move into a new level of existence. We do not only participate in the divine reality brought about by the new covenant, but we put ourselves on a path to become what we receive: the Body and Blood of Christ. There are different reasons to lead us to know someone else. Sometimes, we want to know someone because they are famous and we admire them. At other times, and under different circumstances, we may get to know people at school, the workplace, or even in the streets-people with whom we may or may not end up cultivating a long term relationship. This desire to know others happens not just intrinsically, but also because deep down we want to be known. In his infinite love God goes out of Himself in order for us to know him. He shares his life with all creation and especially with the human person. God not only creates but wants also to be known by his human creation. God has always desired the salvation of the human person and therefore chose to reveal himself. He also chose a people to establish a covenant in which they are his people and he is their God. It is in this mutual belonging that God reveals Himself as three persons: the Father, the Son, and the Holy Spirit. The fullness of the revelation of God takes place in Jesus Christ who shows us the Father and the Holy Spirit. Our Lord Jesus reveals that they are one, and that this oneness is maintained by the bond of love. They know each other and they are in each other. It is in Jesus Christ that we see clearly God proceeding from Himself by allowing his Son to become flesh and by giving the Holy Spirit to all who believe in the one He sent. In revealing Himself, God is saving us and not only allows us to know him, but to receive his very own life. This is the greatest blessing of our lives: the ongoing presence of God. It is a presence that makes Himself known for us to Love Him, Adore Him and to Serve Him. there are different workings but the same God who produces all of them in everyone. To each manifestation of the Spirit is given for some benefit. This weekend we are celebrating the Solemnity of Pentecost. Through this celebration we are reminded of the gift of the Holy Spirit to the Church. This celebration ought to make us aware of the role of the Holy Spirit in the Church. Without the Holy Spirit there would be no Church. The Holy Spirit is the soul of the Church. It is easy to forget the unique role of the Holy Spirit. You might argue that if the role of the Holy Spirit is so important, why do we only have one day to celebrate Pentecost? The answer to this objection is easy. Every day in the life of the Church is Pentecost. Pentecost is a neverending reality and celebration in the life of the Church and its members. We are constantly showered by the gifts of the Holy Spirit. We could not function as Christians in the world were it not by the constant assistance and presence of the Holy Spirit. Let us celebrate Pentecost joyfully, knowing that the gifts of hte Holy Spirit are constantly with us. The day of our baptism we all became temples of the Holy Spirit. Let us acknowledge the Holy Spirit presence in our life. Let us constantly think Him for his marvelous presence and precious gifts. This question was asked of the apostles while they were looking at Jesus going up to the sky. The apostles were in awe and at the same time puzzled by this event. What is it about looking to the sky that leads us to awe and wonder? Remember the last time you looked at the sky. Especially here in Texas, looking to the sky can be an amazing experience. It gives us a sense of infinity, peace, and beauty. In a word, it gives a sense of eternity. Like the apostles, we enjoy looking at the sky but we know we need to go back to the world. This is precisely why they were asked "why are you standing there looking at the sky". In this event, the identity of Jesus is reaffirmed once again. It recounts how the same Jesus who suffered, died, and rose, is the same one who was ascending to his Father. At the same time, the promise of the Holy Spirit is recalled for them to go and proclaim the Kingdom of God. The apostles are not going with him but Jesus is returning by giving them the Holy Spirit so they can continue doing God's work on earth. It is not the time for the apostles to go but to stay and continue their mission. The fulfillment of the mission by the disciples is an essential part for them to enter into what they are seeing while they are looking at the sky: eternity. It is very clear that to enter the Kingdom of God temporality and eternity belong to each other. They are necessary to each other. While looking at the sky, where we get a sense of the Glory of God, it is important not just to remain standing but to remember why we are standing there. We are invited not to forget that we are in the world and that we have a mission, the mission to allow Jesus to return day in and day out through the presence of the Holy Spirit in us. The Holy Spirit, the same Spirit of Jesus, empowers us with his gifts of wisdom, understanding, strength, knowledge, and of fear of the Lord (Isaiah 11:2). 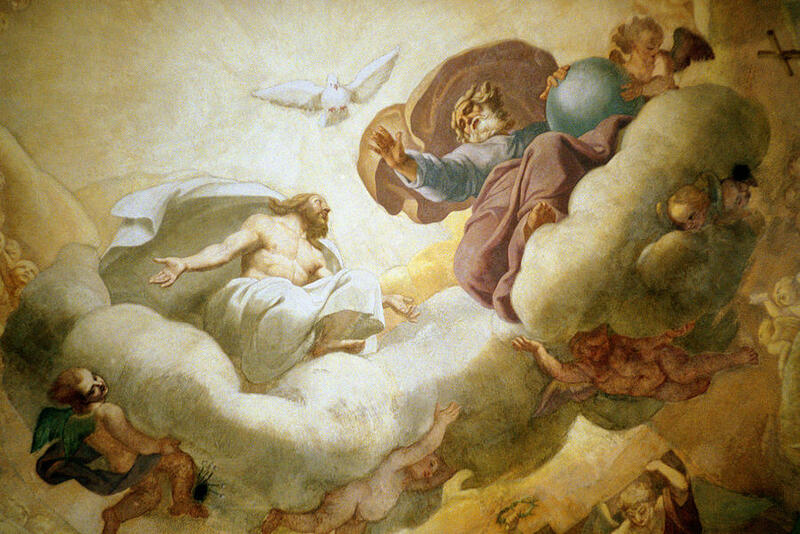 On this feast of the Ascension of the Lord, we are allowed to glimpse the Glory of God. In the meantime, while we stand on this earth, we are called to fulfill the mission the Lord has entrusted to us. It is in this fulfilling of the mission that Jesus returns to us. Also, it is in fulfilling this mission that we ascend with Jesus to eternity. We could say then, that Jesus returns so we can ascend! Beloved, let us love one another, because love is of God; everyone who loves is begotten by God and knows God. The theme of love is at the heart of all this Sunday's readings. The idea of love is central to our faith. To believe is to love, to love God and one another. There is no other possible way to understand the message of Jesus. We cannot skip love and still pretend to call ourselves Christians. Throughout history people have tried to offer different understandings of the Christian faith, making out of it an ideology, an ethical approach to life, or a syrupy interpretation of God and His relationship with us. In today's second reading, Saint John sets the groundwork for the correct understanding of love. He tells us: In this is love: not that we have loved God, but that he loved us, and sent his Son as expiation for our sins. Love, according to Saint John, is not a feeling; it is an action. Love is God himself acting on our behalf. God loves us unconditionally. It does not matter if we are not worthy of God's love, God loved us first. And God's love is neither an idea nor a feeling; God's love is an action manifested in the gift of His only begotten Son. Jesus comes into our world and becomes part of it by becoming fully human. Because of love, the eternal Word becomes human, suffers, and dies in expiation for our sins. The greatest mysteries of our faith: Incarnation, Birth, Public Ministry, Passion, Death, and Resurrection, can only be explained because of love. Even more, the gift of the Holy Spirit, the Church, and the Sacraments are all grounded in the fact that God has loved us in the person of His Son, Jesus Christ. As we listen to the Word of God this Sunday, let us be reminded of the fundamental fact that God loves us and we are challenged to imitate that love. By loving one another we will proclaim to the world that we are Christian not only by name but primarily by action; by loving one another as God has loved us. Faithful discipleship requires the disposition to remain in our Lord Jesus Christ. This remaining is essential for our growth in faith and holi­ness in our daily lives. Nevertheless, as time goes by, to remain might become difficult or burdensome. The disciples of Jesus had moments of discouragement, confusion, and tiredness in their journey with the Lord also. It was difficult for the disciples to remain in Jesus especially when he was rejected and persecuted by some of the authorities of the time. After the resurrection of Jesus, the disciples of Jesus became the target of the same rejection and persecution. One might wonder how many times the disciples were discouraged not only by the rejection and persecution but also by the divisions and misunderstandings within the internal life of their own communities. How could someone remain in the Lord under such circumstances? According to the writings of John, especially today's Gospel and his letter, to remain in the Lord comes from the fact that Jesus remains in us first by giving us the Spirit (1 John 3:21). Jesus takes the initiative to give us the Spirit. Jesus takes the initiative to remain in us, this is why in the gospel he identifies himself as the true vine. The vine is the one who gives life to the branches for them to produce much fruit. In this case the fruit of the Spirit: love, joy, peace, patience, kindness, generosity, faithfulness, gentleness, self-control (Galatians 5:22-23). Notice that the first fruit is love. This leads us to the other aspect of remaining in the Lord: to remain in the Lord means to remain in his love in the way Jesus taught us: "I give you a new commandment: love one another. As I have loved you, so you also should love one another. This is how all will know that you are my disciples, if you have love for one another" (John 13:34-35). To keep this commandment is essential for the disciple to remain. For the disciples of Jesus, those from the past and from the present, it is very clear that first, as the branches received life from the vine, we receive life from Jesus; second, times of rejection, persecution, division, and misunderstandings are opportunities for us to remain and grow not only in faith but in love, joy, peace, patience, kindness, generosity, faithfulness, gentleness, and self-control: and third, all this is possible not because of our own initiative but that of Jesus in giving us his Spirit. For all these we give thanks to the Lord and plead to him that in the midst of all adversities we remain in him. The medieval scholastic philosophers and theologians left us a great gift. They showed us the ability and the method to make distinctions. In making distinctions, the finer points of an argument can be made clear. Because of distinctions we are able to better understand the elements of our faith. In today's second reading, the Apostle John teaches us through a fine distinction. He tells us that we may be called children of God. What is so special about it, you might ask? Aren't we all children of God? Here comes the point of the distinction. We need to make clear the difference between being creatures of God and children of God. All human being's are God's creatures. He is the source and creator of all there is. Children of God, on the other hand, are just a few among those creatures of God. The term child of God implies a parental relationship with God. We have become children of God through adoption, because there is only one natural child of God, Jesus. Through baptism we have been adopted into the family of God. Through baptism we have developed a relationship with God parallel to the relationship between Jesus and his eternal Father. In today's second reading the Apostle John is calling our attention to the fact that it was because of love that we may be called children of God. In baptism we have identified ourselves with the Son, Jesus, and the Father loves us because he sees in us what he sees in the Son. It is not by our merits that we have become God's children. God's love has elevated our human condition to a new level through baptism. We are no longer simply God's creatures; we have become children of God. And in being so, the Holy Spirit dwells in our hearts moving us to acknowledge God as Abba, Father. Distinctions, it is all about distinction. We are God's children, the ones called by name, the ones predestined to dwell in the house of the Father. And as the Apostle John reminds us today: We do know that when it is revealed we shall be like him, for we shall see him as he is. The Resurrection of our Lord Jesus Christ was a moment of transition from death to life. The disciples and followers of Jesus also went through a transition in their own journey of faith. We could say that the disciples also experienced death in their own lives. We could say their faith at some point was also dead. Still, with the Resurrection of our Lord, they also came back to life. Meanwhile, during the time of transition, the disciples were troubled and questions arouse in their hearts. The transition was so complex that they were not even able to recognize the Lord. When they saw him, they thought it was a ghost. Transitions are a part of our lives. They can happen so suddenly that at times we are not aware of them. For this reason, transitions lead us to face the unknown and we have to deal with a great amount of uncertainty. Transitions bring fear. For this reason, transitions are difficult and even painful. Nevertheless, they are necessary for us to arrive to a new place in our lives. Transitions happen at a personal level, for example when someone is moving from single life to married life. They also happen at institutional levels. This is the case for parishes for example when a new pastor arrives. The congregation as well as the new pastor go into transition. After seven months of serving as Pastor at Holy Rosary, I am very grateful to all our parishioners for embracing and enduring during this time of transition. I also want to take this opportunity to ask for forgiveness if I have hurt anyone in any way during this time of transition. I want to assure everyone that it has never been my intention to cause pain or disappointment. Please know that I pray every day for the healing and reconciliation of our community of faith; most especially, I pray for the mission of the Church taking place in our parish: to preach the Gospel! After every transition-like that from death to life-there is also Resurrection. Tis is my hope and the hope of the Dominican Friars as well as many parishioners, that Holy Rosary will be filled with the new life that the Risen Lord offers to us in abundance.